Dinosaur Birthday Cake Candles for kids loving Jurassic World Dinosaurs! Decorate your birthday cake for more prehistoric fun. 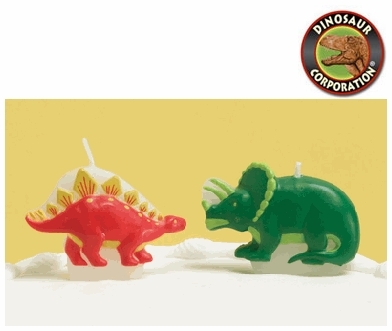 The set contain: 2 Triceratops and 2 Stegosaurus dinosaur shaped candles.